A clear, cerebral high and strong potency sets in quickly; it supports concentration & creativity; very inspiring and stimulating. Ideal for writers, artists, musicians, or other creative people. Recommended for experienced smokers and if you have a high THC tolerance. 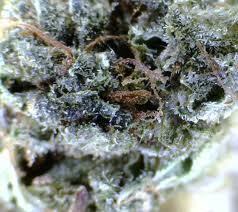 Persons not used to highly psychoactive sativas should be cautious with the dosage. Satori shows her therapeutic potential in relieving depression and anxiety; relieves symptoms of sensory motor neurologic disorders such as restless leg syndrome (RLS). 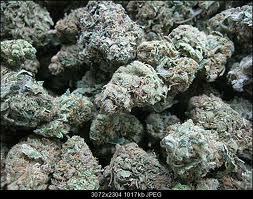 Overall excellent medical-grade marijuana for a variety of uses. 550-600 gr/m2 indoor, up to 240gr. per plant in greenhouse; 850-1200gr. per plant outdoor in the ground. In 2006 we introduced our new Satori. We have refined this strain genetically to produce an even more reliable and powerful cross that will delight your connoisseur heart. Satori is an exceptionally easy to grow sativa. She has shown impressive hardiness against spider mites and other pests, and she posseses a good measure of mold resistance. Her slim appearance makes it possible to plant in narrow rows, or in SOG, to maximize her typical record yields even more. The firm sideshoots provide highest quality cuttings. As with all our sativas she is heat resistant - an added bonus for small indoor environments and hot summer grows. The mainly sweet & fruity-spicy aroma is a real treat for the senses. Satori grows a long headbud with chunky flowers and does not require much feeding on soil; you can almost do without feeding provided you use quality soil and sufficient pot size (approx. 2 gallon pots for adult plants under 250-600W lamps). Keep EC levels low in hydroponics for best results. All Mandala strains are extremely efficient in nutrient uptake due to their hybrid vigor and require only low EC levels/feeding to develop huge leaf, stem and bud structure. Satori is a high yielding, powerful plant with an exceptional sativa high. The heavy buds are easy to manicure, and from the resinous bud leaves you can produce finest grade hash, comparable in quality to the famous Nepalese "temple balls". Since it’s introduction in 2005 our Satori has become one of the most sought after cannabis strains among sativa connoiseurs. Although Satori ranks among the most potent strains ever created it is especially the quality of the high that is appreciated by so many creative and spiritually interested people. Potency without quality is simply a waste of potential. To harness the psychoactive energy and use it for positive transformation is our own personal intent when we smoke Satori. The name of this strain reflects how it can inspire the mind: “Satori” is a Japanese term in Zen Buddhism for enlightenment. The word literally means "understanding". It is sometimes loosely used interchangeably with Kensho which refers to the first perception of the Buddha-Nature or True-Nature, sometimes referred to as "awakening". Kensho is not a permanent state of enlightenment, but rather a clear glimpse of the true nature of creation in everyday life. This can be taken a step further to deeper enlightenment or “Satori”. Satori is therefore an excellent example of an entheogen that facilitates a higher level of intuitive awareness. This is how cannabis is used in ancient traditions, to open the “third eye”, dispelling the clouds of ego-centered ignorance and reuniting the mind with the rest of creation. Before the advent of Satori most cerebral sativas were too challenging to grow indoor for many growers, they often yielded poorly unless grown in hydroponics, and had excessively long flowering times of 14+ weeks. We were convinced that it was possible to breed a very creative and inspiring cerebral sativa that combined the best characteristics usually only found in indica hybrids. 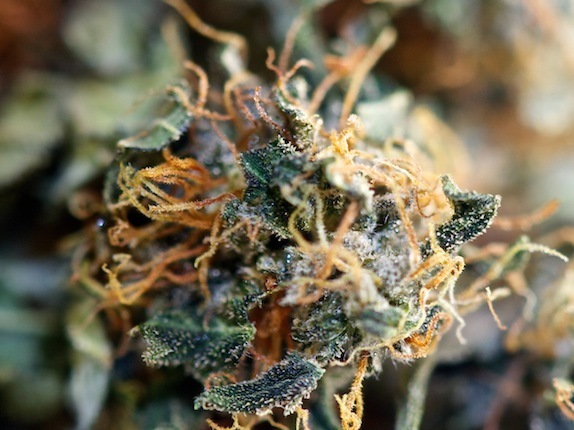 The challenge was to retain the unique psychoactive sativa effect in a pure form while infusing the strain with the growth and flowering pattern of a high yielding indica. Growing Satori you will be surprised at her incredibly sized stems and leaves, the dense buds and stout growth pattern - all of this just in soil. To achieve this unique combination we selected a very rare plant which was discovered in our personal collection of Nepali landrace genetics. This extremely potent and cerebral female formed the basis for further breeding. Throughout it’s history Satori has been an ongoing project at Mandala Seeds. We continue to test seeds from the parental breeding lines to discover outstanding plants and refresh or update the genetic cross. The success of Satori relies on the strict quality control of our breeders and selecting the best parents in a large population of candidates over many years.